Five years ago, there were only 2,000 craft breweries up and running in the US. But by the second quarter of 2017, America proved just how hopped up it had become as it surpassed the 5,500 craft brewery mark nationwide. The threat to the “big beer” industry had become a reality. Now, as bigtime, multinational craft beer producers like Anheuser-Busch fight on the front lines of the battle for tap and shelf space, it’s obvious that the craft beer industry isn’t a mere trend but a lively market on the move causing disruption for traditional beer businesses globally. As both the US and Vietnam stand as the number one consumers of beer in their respective regions, Vietnam finds itself braced for a similar showdown led by renegade craft beer powerhouses like East West Brewing Co. 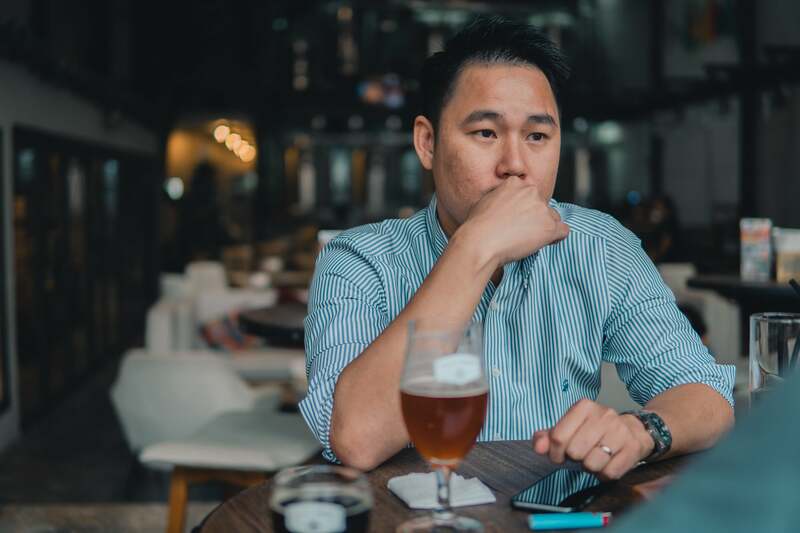 In order to understand more about Vietnam’s craft beer battlefront, we headed off for a few pints with one of its thought leaders, Loc Truong. 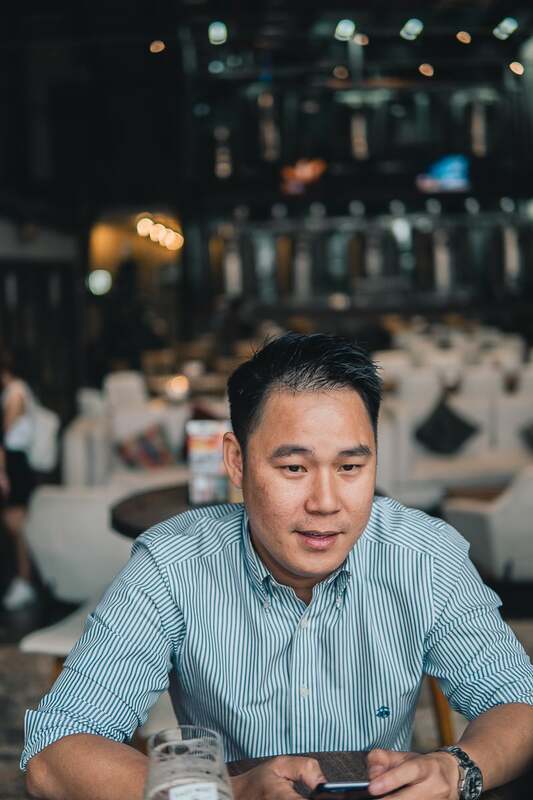 We wanted to learn from the founder of East West Brewing Co. how he plans to win the hearts of Vietnam’s beer enthusiasts. Tell us about some of your first experiences with craft beer. My relationship with craft beer started in San Diego, California, “The Craft Beer Capital of America.” As of 2016, San Diego was home to 125 craft breweries, three of which ranked in the top 50 biggest in the United States. They have an extremely high rate of craft beer consumption per capita, and San Diego even pioneered the first ever Double India Pale Ale. So, growing up in a place with such a thriving craft scene was really a key element behind what I’m doing today, although I had no idea the impact it was going to have on me at the time. When I was attending university my roommate was a serious craft beer fanatic. He would go out and spend US $50 on a single bottle of beer and he introduced me to a lot of new styles and breweries. The Stone IPA and Speedway Stout were two of the first microbrews I ever tried. New Belgium Fat Tire was another one. There was a place called The Taproom that served pizza and beer only made in San Diego. Back then, the craft beer scene was really starting to gain momentum. My roommate and I even started getting into homebrewing. We would go down to the local craft beer supplier, Ballast Point, to buy our ingredients. Then we’d play around with our home brewing kids, exploring all the hops and malts they had in stock. We had a blast. What was the status of Vietnam’s craft beer scene when you first arrived? When I finally made the move to Vietnam there was no market for craft beer whatsoever. However, I really wanted to work in the beer industry. I decided the best option available was to solicit myself a job at Anheuser-Busch’s Vietnam branch. It was a good sales job, and I realized that the company was actually really cool. They were making a very wide range of beer styles and distributing them all across the world. Those experiences made me start to wonder why so many foreign brands were coming to Vietnam and selling. That led to the realization that I could offer my own craft beer to Vietnam which wasn’t imported, but made right here. What were the biggest challenges to overcome throughout the brand building process? Branding is essentially a method to get your product firmly placed into a particular segment. 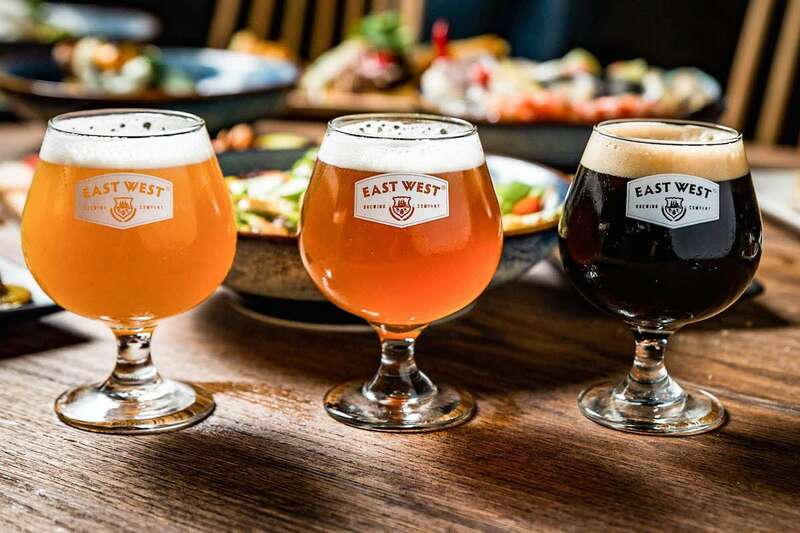 So how is East West Brewing Co. building a brand to gain the trust of the local market? That is the ultimate equation every company is scrambling to solve. For Vietnam however, the concept of branding is still in its infancy. Most businesses and consumers aren’t yet familiar with it creating a widespread challenge for those attempting to brand any kind of product. If we’re talking beer, most drinkers already know brands like Tiger and Heineken. Those companies have an extremely strong presence regardless of whether you consider them premium or not. At East West Brewing Co. we are working hard to target the local market and build a solid craft beer brand in Vietnam. If you put our product next to a Heineken and tell your average beer drinker that this one is better than the other, their instinct is to defend the Heineken. This is how marketing and branding affects our perception of quality. The issue of price is another challenge that we are facing. Most people won’t accept a higher price no matter how good they think our beer is. They already have a preconceived notion about how much a beer should cost, and these kinds of ingrained consumer behaviors are hard to break. How do you manage to curb their brand dominance when competing with heavy hitters like Tiger and Heineken? The majority of Vietnamese consumers trust overseas brands more than their own. So, if you’re a Vietnamese brand and you’re new to scene, you have your work cut out for you. Consumers are pushed 1000 different ways everyday and to trust a new brand doesn’t happen easily. At East West Brewing Co. we build trust in our brand through two approaches—experience and education. That means we might start by giving someone five beers to try. As they try, we tell them the story behind the beer explaining its qualities. We might also highlight how the beer differs from traditional beer. This process has proven to be a beneficial but admittedly slow-moving one. If every Vietnamese beer drinker came through our doors at once, we would be in trouble. We also try telling stories to the Vietnamese market which reference and draw parallels to the international craft beer scene. It’s not us telling you it’s better, it’s already been proven. America’s beer market gives everyone a clear frame of reference. There, microbreweries have had powerhouse beer producers like Anheuser-Busch and MillerCoors in a frazzle for some time now. This is why you see them throwing up big money to buy the microbreweries out. For the past decade, they have slowly been loosing market shares in the USA. What are the primary objectives for East West Brewing Co. right now? There’s so much work to be done. 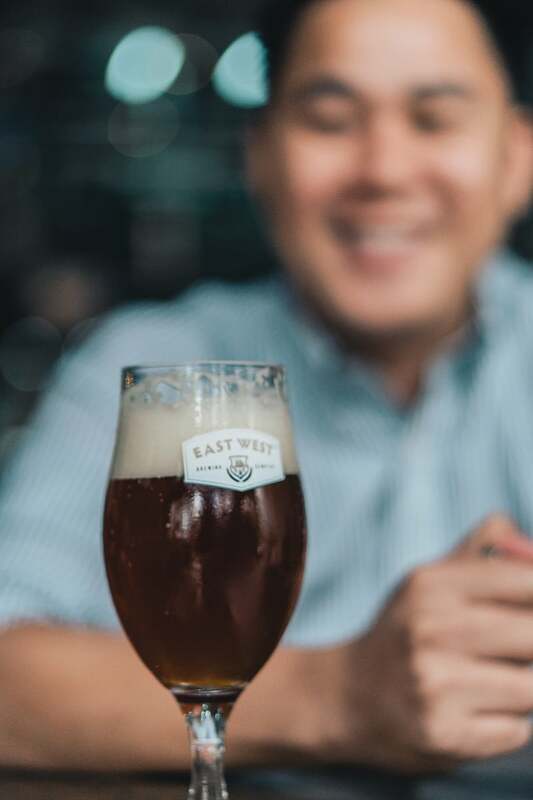 So far, there are 120 outlets in Ho Chi Minh City selling beer from East West Brewing Co. Although that might sound like a lot, it’s actually pretty small considering there are roughly 10,000 outlets in this city alone. For now, we want to stay focused and utilize our resources right here. Hanoi and Danang are about the only other places we focus on now. Our goal is a simple one—to get that bottle of craft beer into the hands of the Vietnamese consumer. Which beers are your best sellers? The Far East IPA, East West Pale Ale, Saigon Rose, and Summer Hefeweizen—in that exact order. In the first quarter of 2016, it was the Rose and Hefeweizen. But throughout the past nine months we have seen a massive shift towards the pale ale and our IPA. It’s all about choices. Most people new to craft beer follow a natural progression. They start with a more palatable beer like the Hefeweizen, but after some time they are ready to try something bigger and bolder. What’s the next big trend for Vietnam’s food and beverage scene? In 2017, there were lots of newcomers to the scene. However, most of them have not yet achieved true market penetration. Sure, they are here and brewing beer, but the majority are still limited to an exclusive expat consumer-base, served at a limited amount of venues around town. What we can see now is that the industry is beginning to consolidate around those that are the most professional and have a clear business strategy in place to ensure they are going to be a real long-term player. I think the biggest trend we’re going to see in the future is more Vietnamese outlets embracing craft beer. East West Brewing Co. was lucky enough to have just signed with one of the biggest beer gardens in Ho Chi Minh City. The best part about this wonderful opportunity is that they reached out to ask us to supply them with craft beer. This is a clear indication that some of the most prominent leaders in the beer industry are beginning to understand craft beer isn’t just a fad. It’s here for the long haul. What advice would you give to someone just getting started in the craft beer business? Just dive right in head first and do it. Never forget why you started and maintain that passion. And for longevity, the key is having the grit to keep on going no matter what happens. Next articleBlockchain Technology In Vietnam: Becoming A Global Leader?